Between the years 1938-1942 the Civilian Conservation Corps (CCC) completed an impressive amount of work building bridges, trails, and roads in Arches National Monument. The area which is now Arches National Park first came to the attention of the government in the early part of the 20th century. In 1929, President Herbert Hoover designated 4,500 acres of the region a National Monument and in 1938 President Franklin Roosevelt enlarged it substantially to 33,000 acres. This was the size of the area when the CCC worked there, making it a challenge to create roads, trails, bridges, and other infrastructure projects over such a vast area. In 1969, President Richard Nixon granted the area National Park status. In nearby Moab, Utah, the government created CCC camp NP-7 in 1940 with the aim of improving the infrastructure of Arches National Monument. The men of the CCC were the first people to attempt projects such as trail building in this remote area. 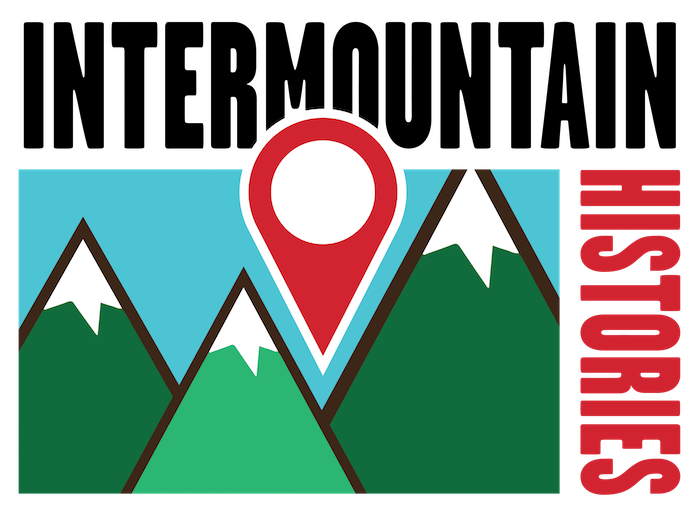 Their efforts in the 1940’s helped the area to become more accessible when tourism boomed during the post-World War II period. This growth, caused predominantly by increased leisure time and money along with access to automobiles, has continued to this day with Arches National Park becoming an increasingly popular choice for tourists of all types visiting the Southwest. Those in the NP-7 camp, one of the last CCC camps in America to close down, had completed an impressive amount of work when it closed in 1942. One of the most distinctive CCC projects to look for in the park is an impressive red sandstone building near the visitor center. Other remnants include many of the trails leading to key attractions in the park, including the ones leading to Delicate Arch and Landscape Arch. In addition to this the CCC completed work on the headquarters buildings, drainage culverts and a scenic park road. Today Arches National Park is popular with all types of tourists, from avid mountain bike enthusiasts attracted by the surrounding region's trails to curious sightseers simply wishing to take in the stunning natural beauty of the park. 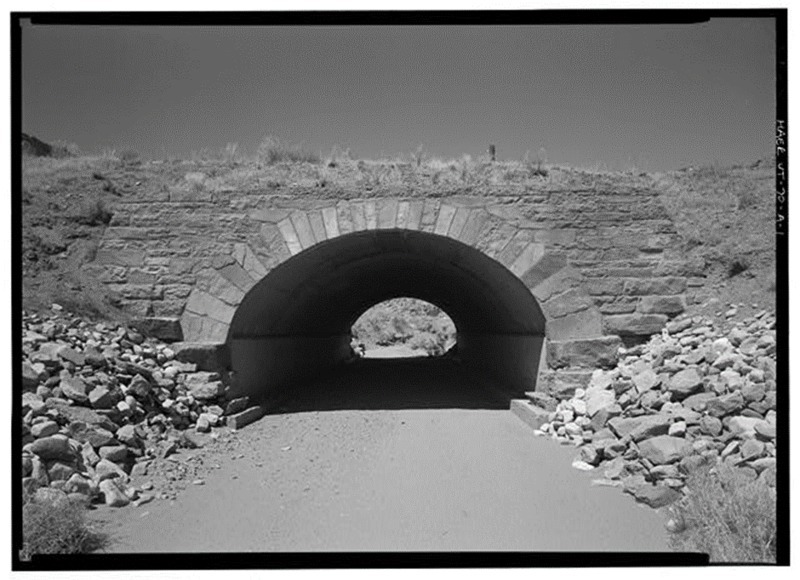 Moab Canyon Wash Culvert: The CCC built Moab Canyon Wash Culvert in 1941 to help visitors access the park. ~ Source: Arches National Park Main Entrance Road, Moab Canyon Wash Culvert, Spanning Moab Canyon wash at Main Entrance Road, Moab, Grand County, UT. Grand County Moab Utah, 1968. Documentation Compiled After. Photograph. Retrieved from the Library of Congress, https://www.loc.gov/item/ut0398/ ~ Creator: Historic American Engineering Record, Creator, Civilian Conservation Corps, Richard M Nixon, and Christine Madrid, Grogan, Brian C, photographer. Culvert close-up: Detailing of the culvert showing the quality of work done by the CCC. ~ Source: Arches National Park Main Entrance Road, Moab Canyon Wash Culvert, Spanning Moab Canyon wash at Main Entrance Road, Moab, Grand County, UT. Grand County Moab Utah, 1968. Documentation Compiled After. Photograph. Retrieved from the Library of Congress, https://www.loc.gov/item/ut0398/. ~ Creator: Historic American Engineering Record, Creator, Civilian Conservation Corps, Richard M Nixon, and Christine Madrid, Grogan, Brian C, photographer. View from afar: View of the bridge from afar showing it blending into the surrounding environment. ~ Source: Arches National Park Main Entrance Road, Moab Canyon Wash Culvert, Spanning Moab Canyon wash at Main Entrance Road, Moab, Grand County, UT. Grand County Moab Utah, 1968. Documentation Compiled After. Photograph. 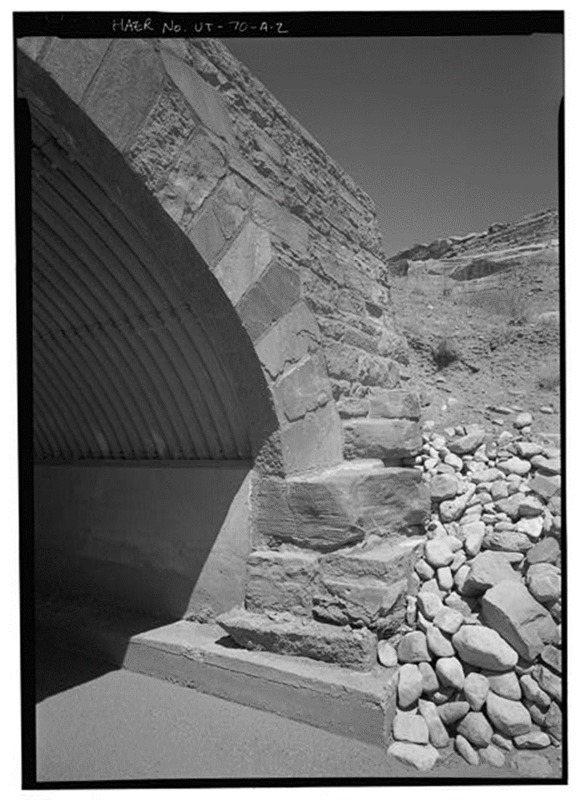 Retrieved from the Library of Congress, https://www.loc.gov/item/ut0398/ ~ Creator: Historic American Engineering Record, Creator, Civilian Conservation Corps, Richard M Nixon, and Christine Madrid, Grogan, Brian C, photographer. 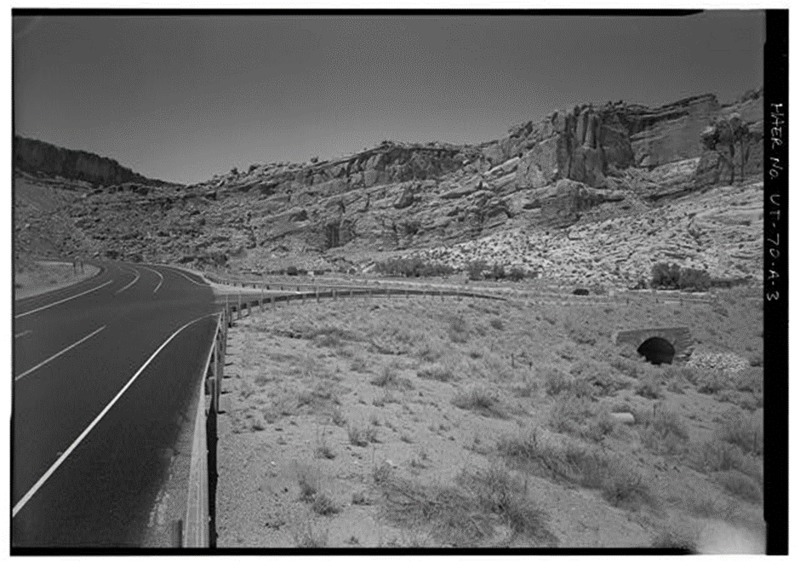 Sarah Birt, Northern Arizona University and Hull University , “The CCC & Arches National Monument and Park,” Intermountain Histories, accessed April 20, 2019, https://www.intermountainhistories.org/items/show/72.